Spider-Man—the name itself brings back fond memories of a young Peter Parker still trying to figure it all out. 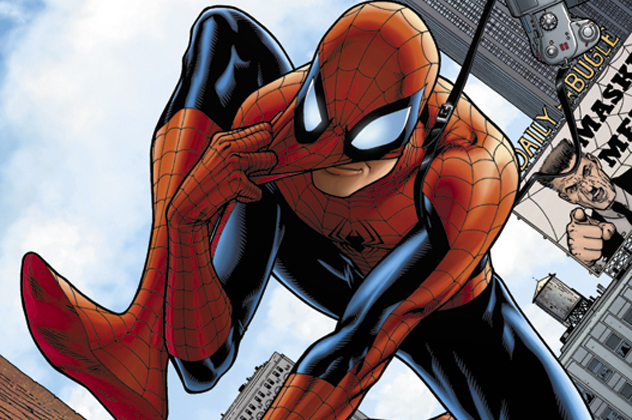 As Marvel’s flagship comic, Spider-Man is easily one of the most recognizable heroes. But while he might just be a mask to those who don’t know him well, he has a huge backstory filled with intrigue, regret, and action that few people know of. Want a taste? 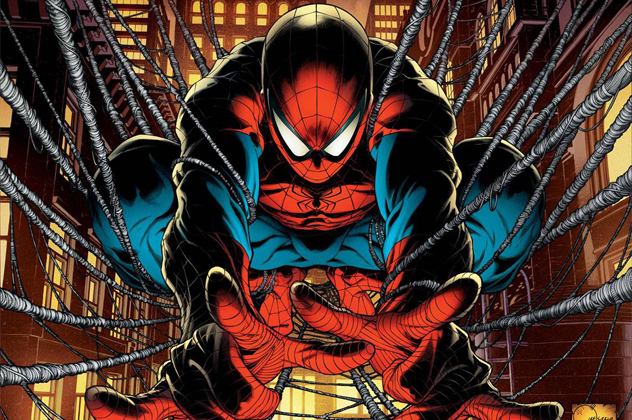 Look no further then these 10 amazing facts about the Amazing Spider-Man. Despite what you might have heard, our friendly neighborhood Spider-Man has fallen for more women than Mary Jane Watson and Gwen Stacy. In fact, Peter’s first love was a beautiful young lass named Betty Brant. Unfortunately, all of that collapsed when Betty’s brother was murdered in a fight between Spidey and Dr. Octopus. After a tumultuous breakup, Peter eventually fell for Gwen Stacy, who was the daughter of the chief of police. He actually did know Mary Jane at this time, but Gwen won him over. During a vicious encounter involving the Green Goblin and the Brooklyn Bridge, Gwen passed away when Spidey couldn’t save her. While Mary Jane was away from New York, Spider-Man encountered the beautiful but deceitful Felicia Hardy, the Black Cat. While the two had a remarkable chemistry, he could never bring himself to fully immerse himself as Spider-Man, and she couldn’t bear to not join him in battle. But in the dying embers of their failed relationship, the fire between Peter Parker and Mary Jane Watson finally burned. 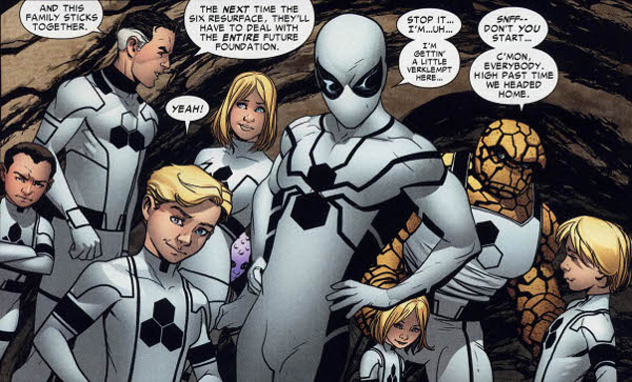 At the time, they called it the Future Foundation, not the Fantastic Four. Shortly after the death of the Human Torch and the reinstatement of the Thing, the remaining members of the group came together with an idea. During the reading of the will of Johnny Storm, Peter Parker was inducted to take his place on the team. At the same time, Reed was formulating a plan to put together a group of brilliant minds to start working toward a better future for all of mankind. When Spider-Man joined the team, they gave him a new suit—black and white—based on new improvements in the field of unstable molecular technology. This technology prevented the costume from ever getting dirty, and Spidey had the further ability to change into the classic red and blue suit or civilian clothes with his mind. 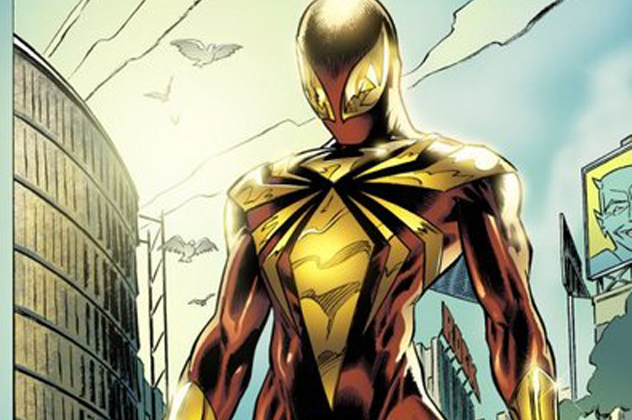 Known as the Stark Spider Uniform, or the Iron Spider, this uniform was built for Spider-Man by the one and only Tony Stark. Originally designed to replace the red and blue suit, it was built to be faster and stronger, and it came with three handy, fully functioning spider legs that popped out of the back of the uniform on command. It was built during the Civil War event, when Spider-Man sided with Iron Man over the Identity crisis. The spider arms could act as functioning arms, had cameras on the ends of the legs, and were articulated so that they could be used as grippers. Although Peter had trouble with the uniform at first, he eventually tuned it to his needs. And even though he still has access to the suit, he only uses it when Nick Fury gives him permission or in an emergency, preferring the comfort and recognizable aspects of his normal suit. 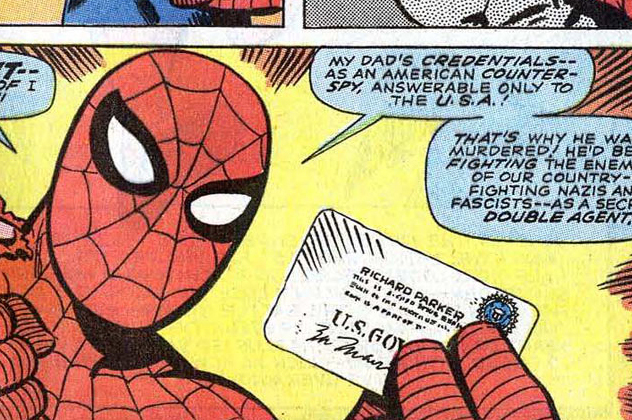 In the beginning of the Civil War, Spidey actually sided with Iron Man and the others who agreed with Commander Maria Hill’s stance on having superhero identities registered. Called the Superhuman Registration Act, it was put in place so that the world’s superhumans could be controlled if necessary. This came about after a muck up between the New Warriors and a villain named Nitro. 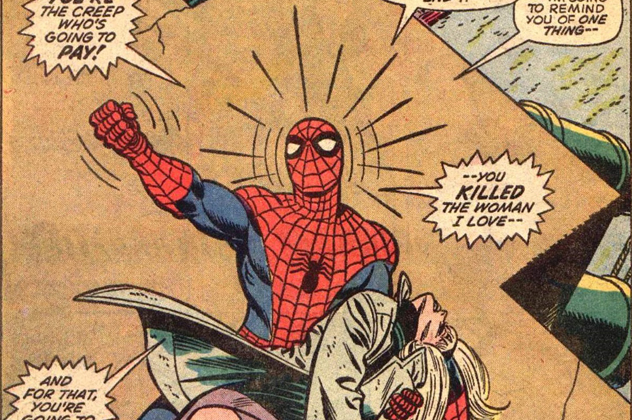 During this time, Spidey removed his mask on live television to show his support, saying, “My name is Peter Parker, and I’ve been Spider-Man since I was 15.” As you might guess, this drew his enemies toward those he cared for most. About halfway through the event, Peter changed his mind and fought alongside Captain America after the death of Goliath, who was a compatriot of his. Even though his identity was revealed, most people seemed to have forgotten, allowing Peter to live in peace (although S.H.I.E.L.D. kept a particularly close eye on Aunt May and Mary Jane). It was later revealed that people forgot thanks to Stephen Strange’s tampering, leaving Peter to return to a normal life without fear. At one point in his life, Spider-Man was being hunted by the police after being framed by Norman Osborne for murder. 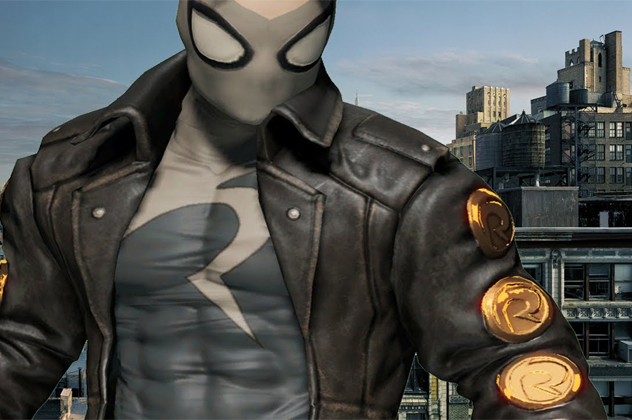 Unable to operate as Spider-Man, Peter donned four costumes, all with their own weapons and abilities—Ricochet and Dusk, who posed as criminals, and Hornet and Prodigy, who acted as heroes. He used the two criminal personas to traverse the underground supervillain community, searching for clues as to who set him up, while the other two fought to ensure the city’s safety. 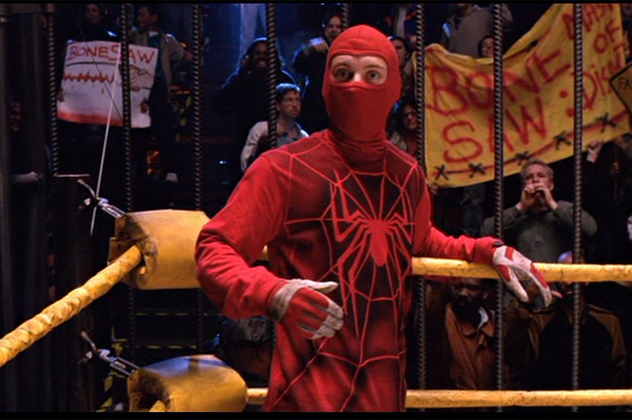 In the final fight of the story line, Peter used not one, but all four of these costumes to fight and confuse his foes, all the while using these new identities to expose his enemies and clear his name. After Spider-Man was able to use his own identity again, the other four identities were used, at some time or another, for other characters. In the original story line, Peter took on the famed wrestler Crusher Hogan shortly after being bitten, both as a test to see how powerful he was and to make a little cash on the side. After easily dispatching his opponent, he was spotted by a TV producer, who convinced him to take his “act” on live television. That was when he completely rebuilt his suit (which was initially a patchwork job) and developed the web slingers. It was shortly after this that Uncle Ben was killed, and when Spider-Man tracked down the killer, it turned out that he’d been the same thief which Peter had stepped aside for earlier. That was the time when he decided to become a superhero. The movies didn’t get it completely wrong—at one point in his timeline, Spider-Man was able to shoot his own webbing. At some point during his career, he developed glands in his forearms that allowed him to produce and shoot webbing the same way that the web shooters had. During this time, he gave his web slingers to Mary Jane to wear as bracelets in case she ran into trouble. Around the same time, he encountered a villain called the Queen (during the Spider-Island timeline) who mutated his strength and other skills to a much higher level. The upgrades included a pair of stingers that grew beneath his forearms, near-psychic spider-senses, and increased strength. Unfortunately, the story line of “One More Day” seems to have recanted this, along with other upgrades like fangs and stingers—probably due to fan request. 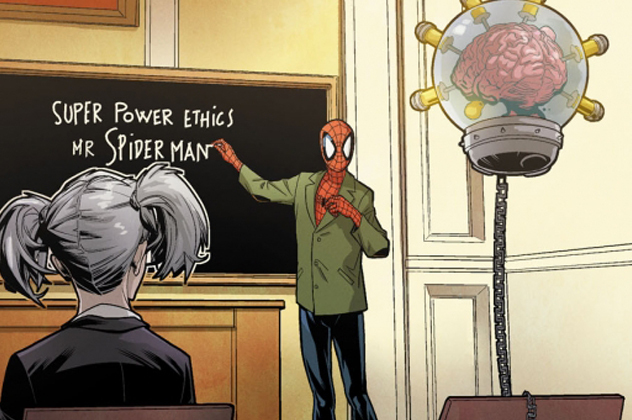 In the most recent story lines of the comic, Spider-Man is tasked by Wolverine (who has passed away, never to return to your local comic store), to find out exactly what is happening at the Jean Grey Institute of Higher Learning. As you might guess, this new development is greeted by the members of the institute with distrust, making Spider-Man’s job very difficult. As Spider-Man spends time with his new co-workers, he discovers an insidious plot concocted by the villains Sauron and Stegron the Dinosaur Man, who are working with some of his fellow teachers. The writers of the story also expand on some of the lesser-known students, such as Shark-Boy and Glob Herman, possibly leading them toward becoming full-fledged X-Men themselves one day. One of the biggest mysteries in comic book history has always been the identities of Richard and Mary Parker. Why were they forced to leave young Peter in the hands of Ben and May? In the late ’60s, it was revealed that Peter’s parents were actually a pair of spies. In the ’90s, it was further revealed that they were working with S.H.I.E.L.D. to infiltrate the dangerous group led by the Red Skull. Red Skull discovered them and sabotaged their plane, leading to the eventual outcome which we know today. In 1997, a capable writer by the name of Roger Stern took on the task of writing the untold story of Richard and Mary. It was revealed that the two met while on different assignments for their respective agencies, and after meeting and getting married, they were tasked with keeping tabs on a woman named Baroness Adelicia Von Krupp. They also once rescued a certain Canadian agent by the name of Logan. Shortly after this event, they realized that Mary was pregnant, and the two later died in the line of duty after having a baby boy. Two months before Peter’s death and Norman Osborne’s arrest, a young thief named Miles breaks into the now-abandoned Oscorp. After stealing a spider, he gets bit and manifests similar powers to the original Spider-Man. Taking this as a sign, he decides to clean up his act and redeem his criminal past by protecting the city. 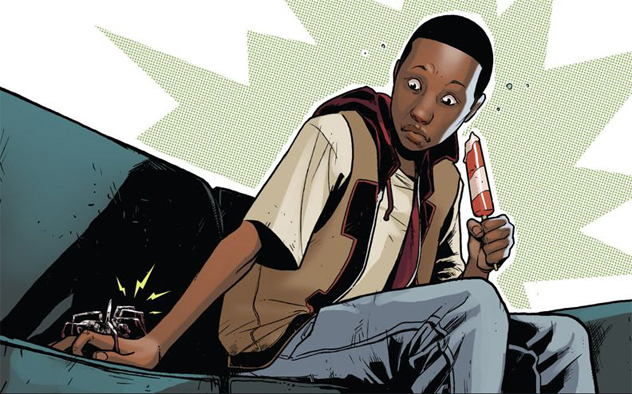 After helping the Avengers defeat Electro, he was granted the mantle of Spider-Man from Spider-Woman and given a tape by Scorpion that teaches him to fight like Spider-Man. The biggest difference between Miles and Peter was possibly Miles’s Venom Blast, which was distinctly different from the web blasts that came from Peter’s web shooters. Oddly enough, it is later revealed that Mile Morales and Superior Spider-Man (Otto Octavius) at one point team up to fight side by side. A young author searching for his place in the universe, one page at a time.